Our licensed audiologist Linette Perry will evaluate your hearing, and if necessary she will dispense and service your hearing aids, and provide hearing rehabilitation training. Learn more about the types of hearing tests administered at Paradise Coast Hearing Care in Naples, FL. An audiogram plots a picture of your hearing as it compares to normal hearing of sounds at different intensities (loudness) and frequencies (pitch) that make up the human voice when speaking at normal conversational levels. This testing is performed to evaluate suspected hearing loss and/or tinnitus (ringing in the ears). 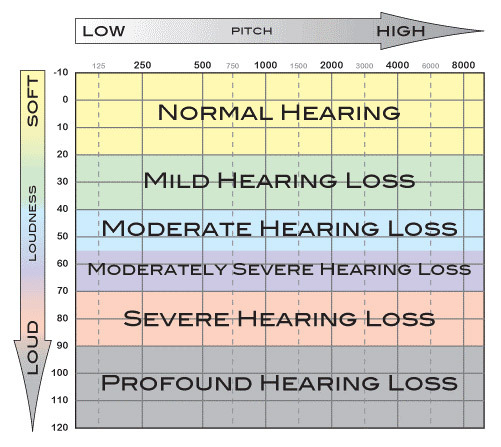 The audiogram helps to determine if the hearing loss is sensorineural or if it is due to conductive factors. It also provides diagnostic information about the conditions that cause hearing loss. 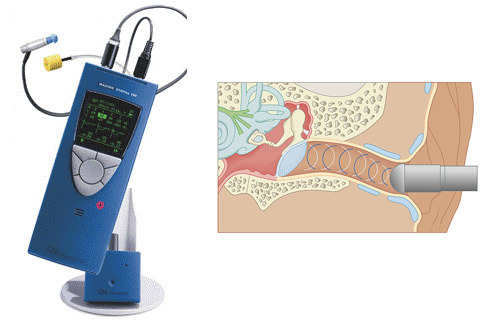 Tympanometry is a test where ear pressure in the ear canal is varied to test the condition and movement of the eardrum. The test begins with an inspection of the ear canal with an otoscope, ensuring that there is a clear path to the eardrum drum. Then a soft probe is inserted in the ear to test the condition of the middle ear and measure the mobility of the eardrum. This is useful in detecting disorders of the middle ear.